Ready to turn your dream home into a reality? Razzano Homes & Remodelers has the experience & expertise to create the home that makes you feel great every time you walk in your door . 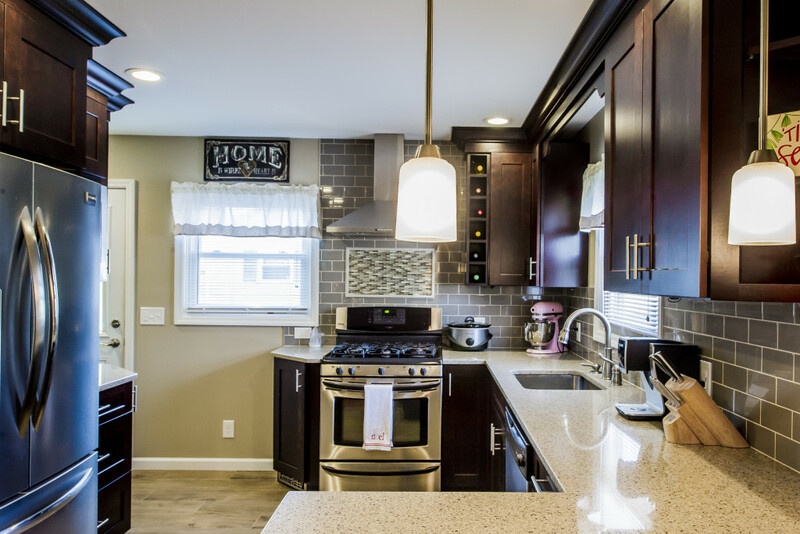 We specialize in building custom homes and remodeling homes for Halfmoon NY residents and look forward to adding you to our long list of satisfied clientele. The picture on top is a recent Halfmoon Remodeling job we did in the kitchen. It has a lot of nice features such as Shaker Cabinets, a Quartz Counter Top, and a Wine Rack. Gray Subway Tile Backsplash is above the counter top. The Stainless Steel Hood Range offers a real nice look, which is complimented with a Glass Mosiac Accent above the Range. There is a wonderful Crown Molding accent towards the top of the ceiling. In the picture below, taken from a different angle, notice the Pendant Lights above the Peninsula for a nice effect with this eat-in kitchen. And notice the Pantry Cabinets from floor to ceiling on the left of the fridge, and LED Recessed Lighting on top. See more client feedback on our reviews page. 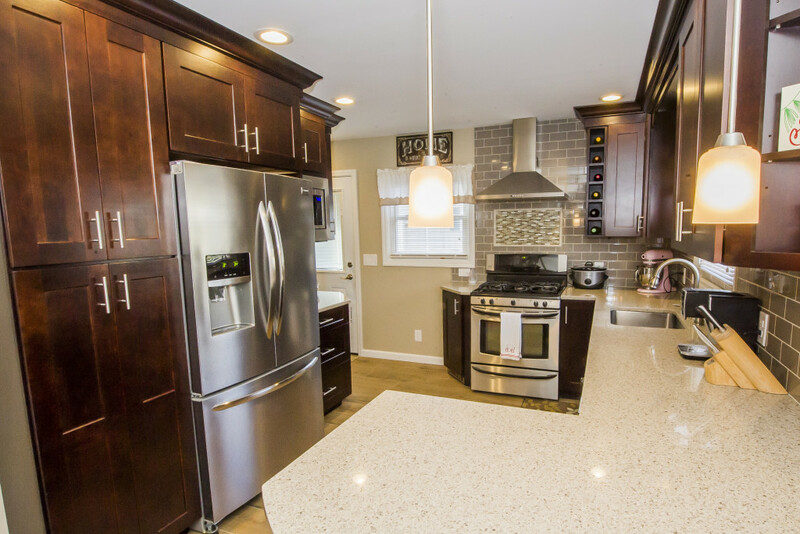 And we are excited to show off this New Home Addition we did in Halfmoon. To learn more about the area, please visit the Town of Halfmoon website here.